Scott Garceau was a longtime anchor at WMAR-TV and now hosts The Scott Garceau Show on 105.7 The Fan. Garceau presented Ray Lewis to the Hall of Fame selection committee. Presenting Ray Lewis to the Pro Football Hall of Fame selection committee was an honor and then a responsibility, too -- knowing what his career was, what he meant to this football community and hoping you got it right. Ray basically sold himself. Ray's career was that of a Hall of Famer. I was just the guy who happened to put it in front of the other board of selector members to say, "Hey, guys, this is what a gold jacket looks like." I went into it initially thinking, "Do everything you can to get all the information, do the best presentation you can; this guy deserves it." And somewhere along the line, other members of the board of selectors started saying, "He's a lock; just stand up." There have been four or five Hall of Fame candidates since I've been there the last 14 or 15 years where they haven't made a presentation. Just stand up, sit down and everybody kind of claps and goes, thank you very much for saving time. But because of Atlanta and all that was with that, I didn't want to leave any stone unturned. My biggest fear would be not to present Ray Lewis, not to make the presentation, and then six or seven guys not vote for him for whatever reason and Ray not be a Hall of Famer. Our bylaws say only what the player does between the lines is to be considered, but there's human nature. When I finished my presentation, normally the following conversation can last over an hour. But one guy -- and I won't say who -- stood up and said, "Ray Lewis" and sat down. And everybody kind of laughed and said, OK. And David Baker, the president of the Hall of Fame, asked me, "Scott, do you have anything further?" And I said, "No, we're all good." So that was the fastest of the group this year. Toward the end of his career, everybody wanted to be a part of that Ray Lewis defense. It represented something. Not only the two Super Bowls, but it represented toughness. That's the way they played the game. Ray Lewis was the guy at the center of that. And I think other players, they're always going to look fondly on that era. 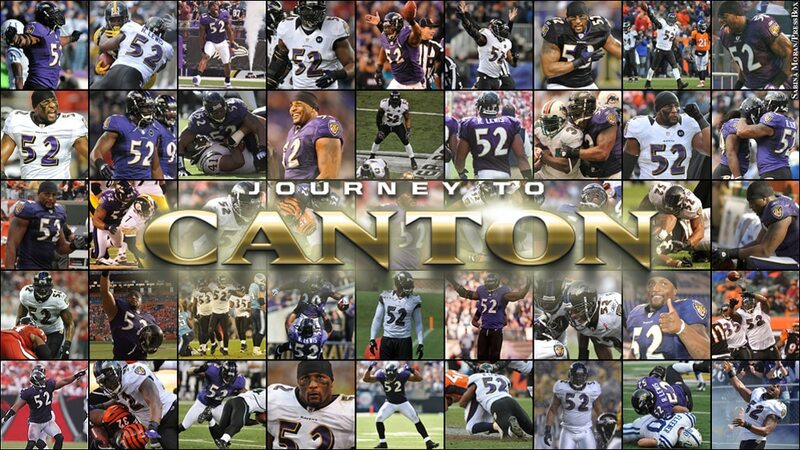 Whatever happened during that time, you were proud to be part of those Ravens with Ray Lewis. It wasn't the Baltimore defense; it was the Ray Lewis defense.